Naomi Jordan Cook | Transforming Lives |Getting Into Action | Small Business Coaching How Leaders Influence Business Performance with Integrity? Leaders influence business performance with integrity in so many ways. If you are a leader, then you want to start to take notice of integrity. I was speaking to friend, who was asking for advice (but really wanting coaching) about joining a business, that seems as though the reputation of the business is not so good. I told her sometimes we ask the Universe to send us unusual situation to give us challenge. I then ask what led her on taking on this business opportunity and she said Naomi I am a leader and I know one thing I am a great leaders. I am thinking to myself wow… That’s a bold statement but I get it. I got what she was saying. I knew that her leadership will influence the business. Leaders influence business performance. Leaders can start to make the change by the influences around them. As a coach, I thought on ways on how I would coach someone in a similar situation. Asking What leadership skills does someone need for a situations? What would be the primary skill set? What kind a leader does a person need to be to make a difference in the business? How can your leadership influence business performance? Who do you know as a leader influence business performance? I thought about, what is the core values leaders influence business performance may have. Who are you being as a leader influence business performance? So many ideas and opportunities came to mind. Then I was curious about her energy level to be the great leader. The first thing I thought of my friend who was taking on this task, will have to come in strong and stand by everything she says as a leader she is looking to accomplish, in the next 90 days and stick with it to the end. 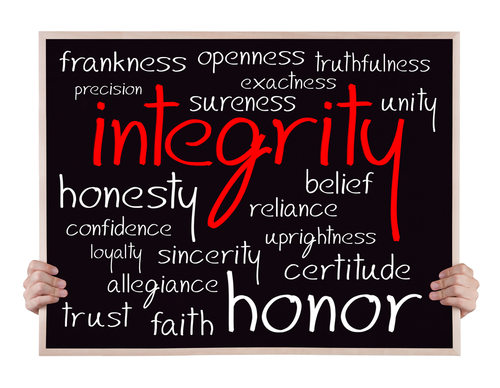 The word that stuck out was INTEGRITY This will have to create a new paradigm shift with team members. It came clear to me as leaders in our everyday life we have to lead from within. We lead from our being. We have to lead by the words we speak and to take actions. Leading from the space of taking on responsibility will teach us and others, how leadership can influence the overall business culture. Leaders influence business performance with integrity, takes it to a new level. If you are one that has experience within the role of leadership. Then you know leadership influence how business is ran on every day life of the business. Leadership within the organization has the influences in how money, services, people, performance etc. in the organization. Scandals in the business are not new, it is something that just happen. Scandal is a reality. Scandal in the business causes crisis in confidence. This leading to non leadership. Leaders influence business performance will start to see the difficulty. Its going to be a challenge for leaders on how they are going to bring back or build again their business integrity. According to Michael Jensen, ” Integrity is a matter of a person’s words nothing more and nothing less.” A leader without integrity can not be trusted. No one will ever believe what they say ; there is no established relationship that they can have. They will somehow feel ignored or useless because a leader with integrity will not waste time with people without integrity. Leaders need to influence business performance integrity. Honor what they say – thinking carefully before saying anything. Consistent with Words and what is said. Leaders who influence business with integrity is directly related to personal success an in developing leadership skills. A leader who has integrity focus on building trust in their relationship with others. A leader with integrity is confident in sharing personal values with others. A leader who influence business with integrity focus on the actions that they are going to make. Leadership is important and good governance is valued. Without good governance, people will not be organized and will always complain on what is happening and they will just focus on the negative things and will be unproductive at the workplace.